Last year, dire reports arose about Indonesia’s impact on environmental pollution. 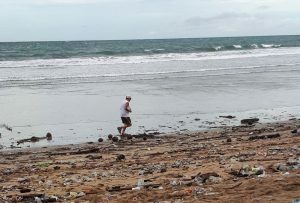 Indonesia throws away an annual 1.3 million tons of garbage into the ocean – a staggering statistic that makes the country the second-largest contributor of plastic waste to the ocean, according to a 2017 article in the Asia Sentinel. Bali contributes to this statistic, where the poor waste management systems on the island also affect its critical tourism industry. Yet change can be enacted on a small scale, and this is seen in the everyday operations and management of Bread & Jam Hostel. They try their best to implement sustainable, efficient and environmentally friendly practices whenever possible. 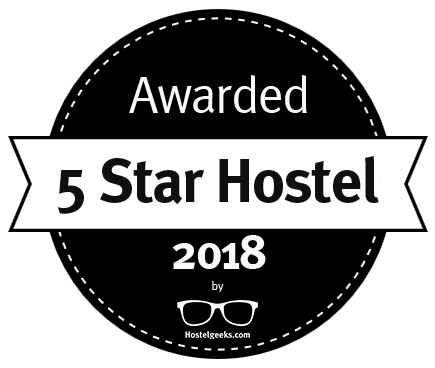 The hostel is airy on the inside, with high ceilings, constantly rotating fans, ornate chandeliers and an open-air main room. There’s no air conditioning in the main part of the hostel. But even though there’s no artificial air blowing through the room, it keeps cool. Tall, perpetually open glass windows provide a cool breeze that flows through the room and is circulated by the fans. The room is shady, and it never gets unbearably hot. Diffuse natural light filters through the windows and open roof. Lush plants flourish on the hostel’s balconies and vertical garden. The hostel, which opened three years ago, was originally two buildings, but the buildings were joined and renovated with an environmentally friendly bent. The hostel was built with as many materials from the old buildings as possible, which were repurposed and repainted. 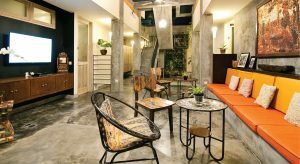 All aspects of the hostel strive for sustainability and energy efficient- not just the entryway and main room. Skylights in the dorms provide natural lighting for the restroom areas, and the showers have an open ceiling to provide circulation. Ceiling fans are in all the rooms and during the day when guests leave the dorm, the staff switches off the air conditioning. To heat water for the showers, the hostel uses gas instead of electricity. LED bulbs, which are more expensive, but conserve more energy than regular bulbs, light the building after the sun goes down. Within the hostel’s management, the staff uses sustainable tactics to conserve resources. The hostel coordinates an exchange of sorts, where guests can leave sandals or pick up a new pair from a basket near the door; leave their toiletries that are too large to take through airport security or in turn, get a new shampoo for the shower. The establishment sells plastic water bottles, but guests also have the cheaper option for a water refill. Bread & Jam also works to compost and recycle. The staff sorts the recycling into plastics, paper and glass. The hostel works with a local NGO which collects waste, provides waste collection and recycling services. 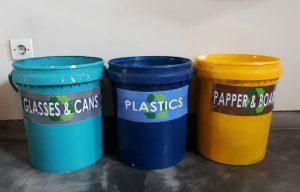 The hostel is full of plans to streamline the recycling and keep up the hostel’s sustainable practices.